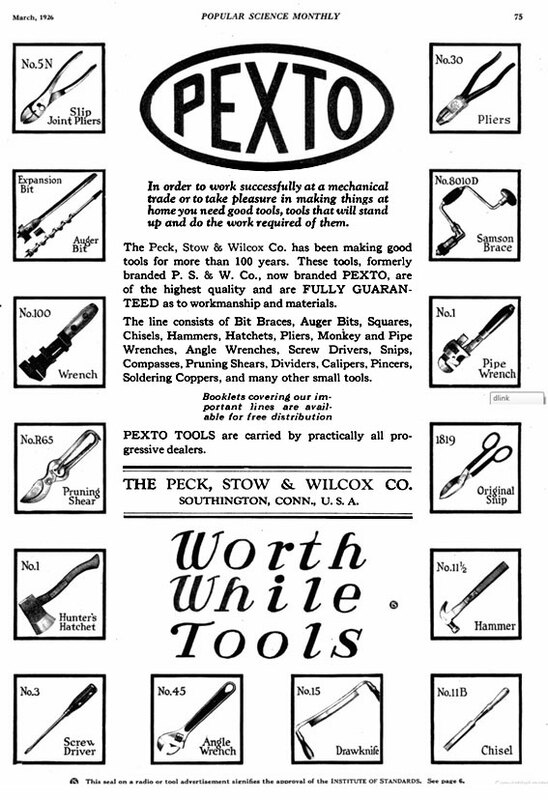 Peck, Stowe and Wilcox was founded in Southington, Connecticut around 1870 as an amalgamation of three pre-existing tool companies: Peck, Smith & Company, the S. Stow Manufacturing. 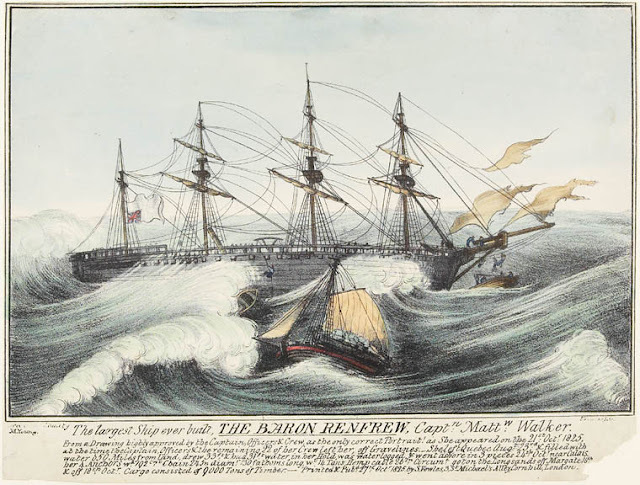 Company and the Roy’s & Wilcox Company. 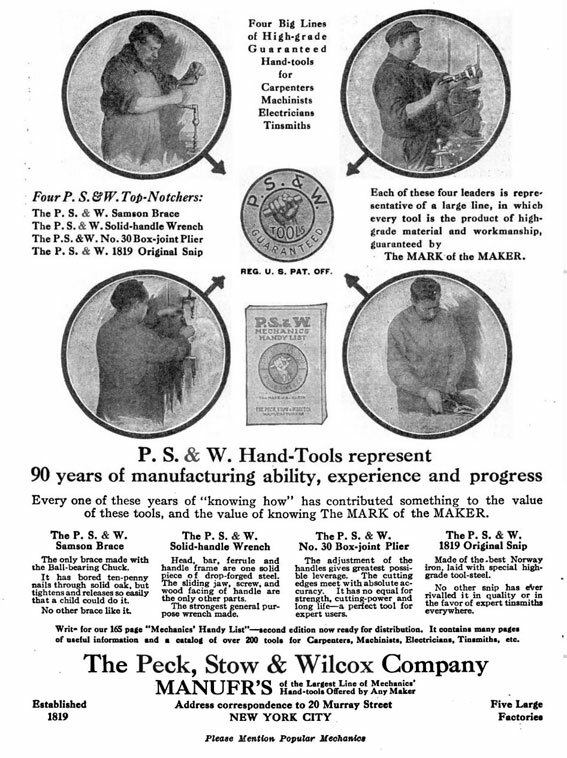 Over the following years they also absorbed A.W. Whitney & Sons; J.E. 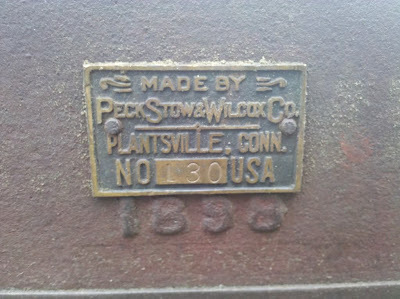 Hull & Co.; Woodruff & Wilcox; Hart, Bliven & Mead Mfg. Co. Cheshire Edge Tool Co. and Johns & Co. With five plants including ones in Plantsville, Connecticut and Cleveland, Ohio, they manufactured and sold a wide variety of tools, including bits, braces, chisels, dividers, draw knives, hammers, household tools, machinist tools, screwdrivers, tinsmith tools and wrenches. They also made a variety of household tools, such as meat cutters, choppers, grinders, sausage stuffers and coffee mills, sometimes using the brand name "Little Giant." 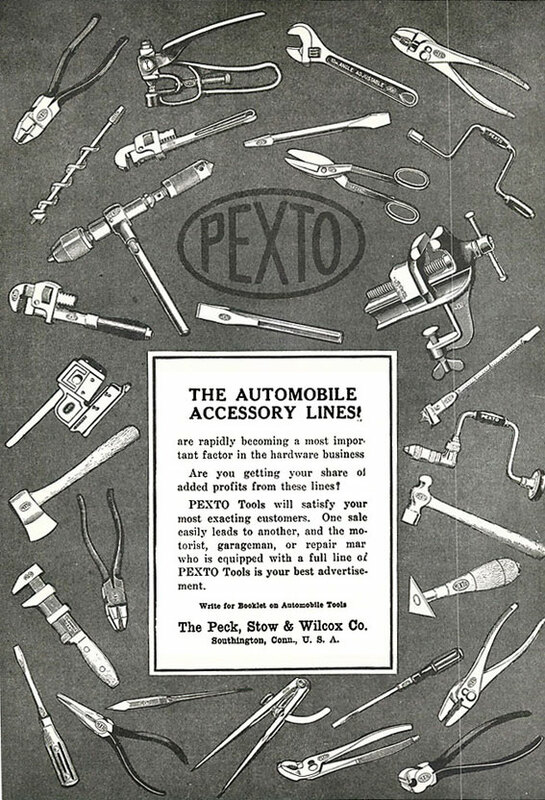 In the early 1920's, they changed their brand name to "Pexto" (Poor Wilcox got ripped off by this renaming). They were purchased by Billings and Spencer in 1950, who continued to use the original company name for some time after the acquisition. Billings and Spencer were gobbled up by Crescent Niagara in 1962, which itself fell victim to Cooper Tools in 1968. In 2010, Cooper and Danaher combined to form Apex Tools. Interesting and informative. Thanks, even if I'm discovering this three years after you wrote it. Mostly tangible things from technology and manufacturing past. 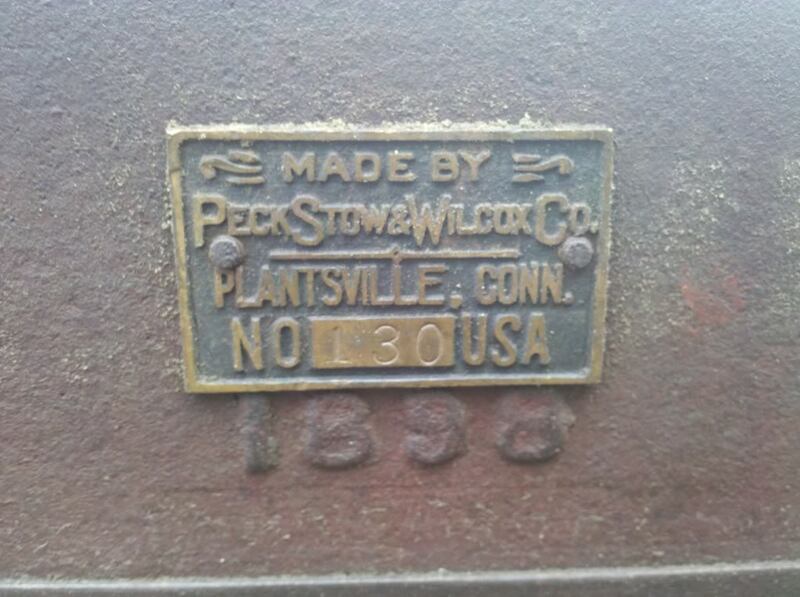 We like things that remain useful long after the companies and people that made them are gone. New York Central, Water Level Route. Hong Kong, Then and Now. Cool World War 2 Cover Art; Five Days to Hell. Know your WW2 Japanese Fighters. Suzuki K15 "perfect for the outdoors!" 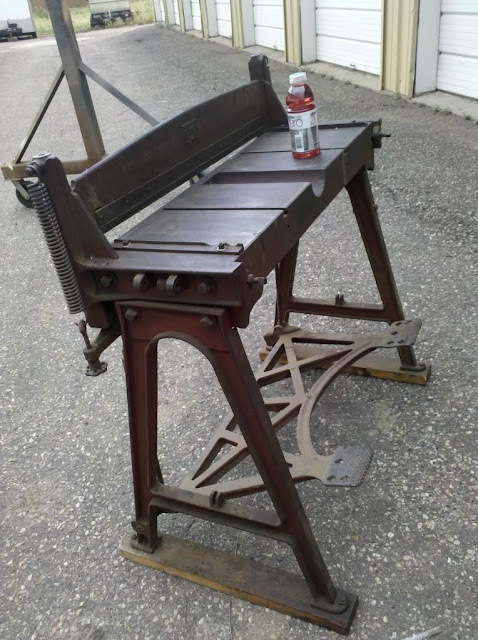 Sewing Machine and Jig Saw!